Borussia Dortmund, who have built a four-point lead at the top of the Bundesliga, have reportedly offered Alcacer a contract until 2023 with a transfer fee for Barcelona worth upwards of 21 million euros. Hazard has now scored seven goals in as many league games, as Gladbach bounced back from a shock 3-1 league defeat to Freiburg and 5-0 thumping to Bayer Leverkusen in the German Cup. Borussia Dortmund's next home league match — against Bayern Munich in a fortnight — is shaping up to be a top-of-the-table clash. 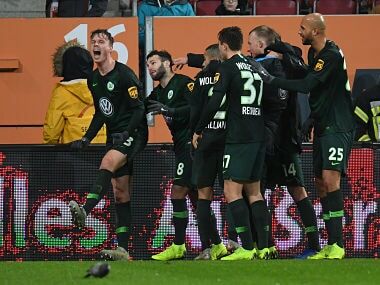 Jonas Hofmann hit the first hat-trick of his career on Sunday as Borussia Moenchengladbach went second in the Bundesliga with a 4-0 thrashing of his former club Mainz. 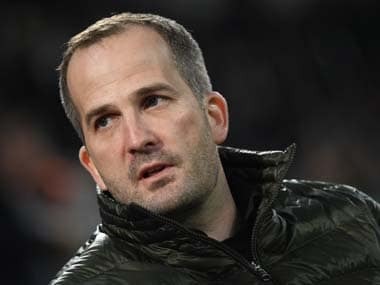 After a determined start to the second half, Leipzig were rewarded when Forsberg equalised from the penalty spot on 54 minutes after his cross had been handled by Filip Kostic.